So do you remember this one? 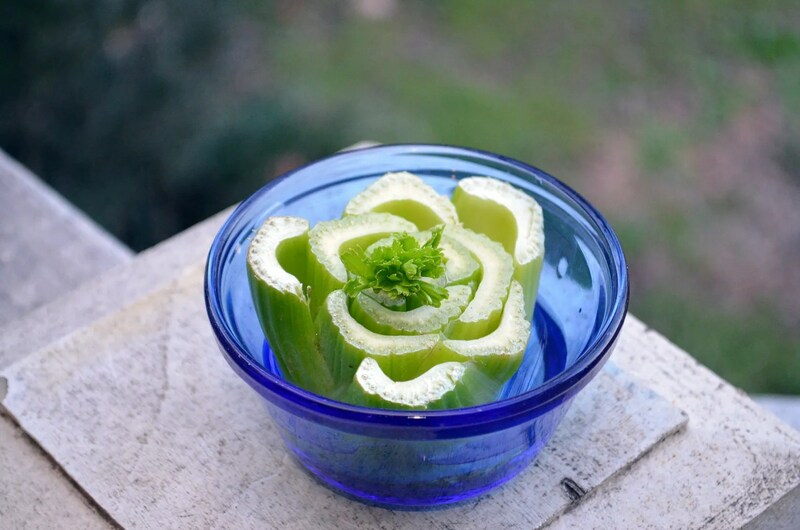 This “Zombie Celery” post will catch you up if you don’t. 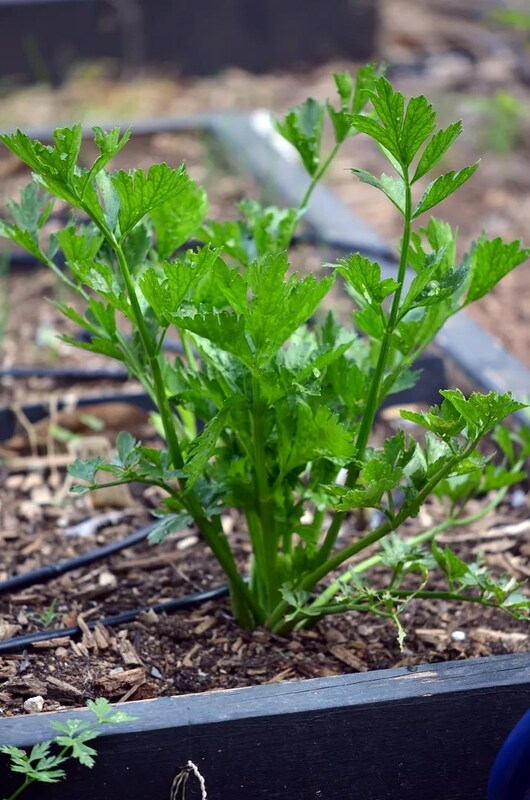 After it grew a little more and roots appeared underneath, I followed through and planted it in the corner of a bed next to the biggest mass of parsley. It wasn’t long before the parsley overtook it and there is sat for two months, blending in well enough for me to pretty much forget about it. I don’t expect that this is the most robust celery bundle the world has ever seen. Regardless, I will revel my apparent success in cheating Kroger out of $1.00 worth of celery using nothing but my cunning cheapness. You will all admire my prize in a most envious state, no? Martha Stewart and her production crew should be knocking on my garden gate at any moment. My hydrangea bush is still going like gangbusters in my courtyard. Even though it was a “gift hydrangea” from the church’s Easter altar display — the kind “they” say will never thrive in the yard! Blooms were originally blue; second season, lavender; this year, Pink! I haven’t done a darn thing with it, but it’s growing like crazy with all this monsoon weather we’ve been having. And the weeds and opportunistic species in the courtyard are about as tall as I am! LOL the Gambinos prolly buried someone there, making for fertile soil and all. I’ve done the celery thing 3 times & it always starts getting slimy before it gets roots… then I put what remained into dirt & it just failed. Not sure what I’ve been doing wrong. Well, I forgot, one of the first times I tried it the chickens got to it where I had it in a little pot of soil to try & keep the moisture content steady(ish). I might have decided to give it up after this years 2 fails. Good job on keeping it alive! I’m patiently waiting as it grows; will test in a few weeks maybe.